It’s officially Allergy Season. We’ve seen patients in the past week with sinus congestion, swollen, red, itchy eyes, sneezing, and the infamous post-nasal drip. We can help! Don’t delay, book your appointment today. Our schedule is filling fast so be sure to book as many sessions in advance as possible so we can address your health concerns and we can accommodate your schedule needs. You can Call our Office at 443-521-3583 or Book Online. 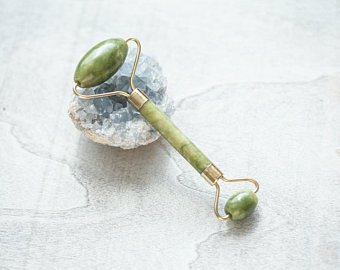 Whether from Allergies or Trouble Sleeping, the Jade Crystal Facial Roller can help reduce puffy eyelids by improving lymphatic circulation. The smaller roller ball is the perfect size for the eye area, whereas the larger roller is useful for providing a lifting effect to the face and improving skin tone. Keep in the refrigerator for even more benefit to facial swelling and discomfort from allergies. We use the Jade Roller during the Facial Rejuvenation Acupuncture treatments to enhance the anti-aging benefits of the treatment. We have Jade Rollers available for purchase today. We are always happy to help with wellness tips and creative, innovative ways to feel better. Jade is a traditional stone used in Chinese culture for the benefit of circulation, heart health and beauty. You may have noticed we use another jade tool for manual soft tissue work called Gua Sha, which is amazing for breaking up stubborn muscle knots and healing muscle injuries. Gua Sha is included for free with your acupuncture session, when clinically appropriate. With over 12 years clinical experience using OPC3 with clients and patients, Laura has seen clinical success treating allergies and pain with this powerful antioxidant and anti-inflammatory supplement. 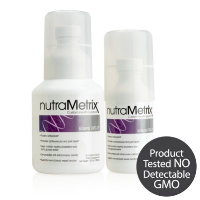 Try a bottle for 90 days to see what OPC3 can do for you. You can order online or place an order with Laura. Cupping is Also Great for Allergies! In addition to Acupuncture, some patients respond even better to Cupping for Allergies. Cupping is also great for muscle pain and injury, high blood pressure, asthma and bronchitis. Most of our new patients come in after hearing about us from other happy patients. Our patients send their parents, their children, their friends, co-workers (even their boss! ), their BFF, their neighbor and even their doctors in to try acupuncture with us. Thank you for trusting us with your referrals. We are always happy to help! with our Acupuncturists, Jaeok, Nancy, Kelly, Laura & Emily.